Authoress to Newbie: Fiction Writing Advice, Tips, and More! : How much research should I do? With "how much" I mean "to what extent" and this is something I am currently dealing with so I don't have a clear-cut answer. But I hope to give you some insight, and maybe some reassurance with research in worldbuilding. Spellcheck is telling me "worldbuilding" isn't one word but I think it should be so let's roll with that. to make your world, whatever it may be, more believable. 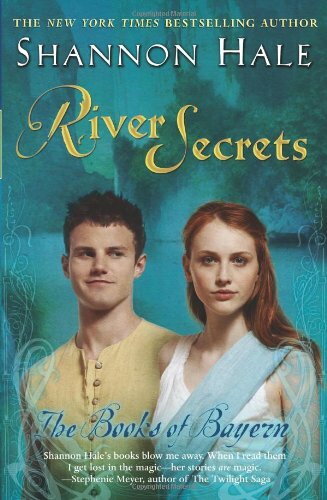 To slide off topic for just a moment, I recently read Shannon Hale's "River Secrets" and in there the protagonist Razo uses a sling. At the end of the book Shannon Hale thanks some kind of sling association for insight on the slinging parts. What I'm pointing out is that Shannon Hale did a bit of research here, adding in some information that would help her story, or rather her important action scenes, be more believable. "More believable" is the keyword to worldbuilding. But then, when do you stop? I think that how believable you want to make is different for everyone. It's your book after all and you can decide how believable you want your story to be. Historical fiction, I would guess, has to be at least historically accurate to be believable. Anything related to fantasy or sci-fi...well, that depends on what you, as an author, are aiming for. And also, how much you think you have the courage, say, to make up settings in a way that sound believable. And as Shannon Hale did, do some research on the aspects of your writing that is important to the story or parts that are significant for that moment. Slinging was a big part of the story, mainly because it was what the protagonist was good at doing. But other aspects, and I was aware of them when I was reading, sounded more made-up than put together precisely. The overall structure of the buildings and the houses was a bit of a blur and all I could get from it was the colors and maybe a bit on what the roads were like. There were, apparently, rivers running through the city (?) but I couldn't get much sense of exactly how they were running through. But then, that wasn't really important to the story itself. The reader just needed to know the basic setting and then who was friends with who and who were the enemies and, of course, who was in love with who. My conclusion with "how much research" would be, at this point, how much you need for the important bits or the main scenes. And yes, I hear you, as authors we want our stories to be believable as much as possible. But let's put that energy into the actual writing. The reader doesn't need EVERYTHING to be believable, just the most significant parts.